NAMI Main Line PA extends thanks to the individuals in our community who demonstrate extraordinary commitment to serving the needs of those living with mental health needs and their families. We have many outstanding volunteers. These two have received awards for their long-term volunteer work. In 2015, the Bryn Mawr School of Social Work and Social Research recognized Judy Green as one of their 100 outstanding graduates over the school’s 100 years. Judy regularly facilitates NAMI’s Family-to-Family classes and has been recognized by NAMI National for having facilitated the Family-to-Family Education Program more than 30 times. Since 2003 she has been fund-raising and volunteering on various affiliate committees. In addition to being a nationally certified trainer for the Family-to-Family program, she has facilitated the Visions for Tomorrow and Basics programs for families having young children with mental illness, as well as run support groups. In 2018, Tikvah/AJMI awarded Ingrid Waldron the Abraham Martin and Sylvia Dorothy Solomon Award “in appreciation of her devotion to the mental health community”. Ingrid has been volunteering for Main Line NAMI for over twenty years. She serves as President and as chair of several affiliate committees. She regularly contributes to our education, outreach, and advocacy activities. The National Alliance on Mental Illness established the Exemplary Psychiatrist Award in 1990. The award honors doctors who excel in their commitment to providing excellent mental health care. NAMI Main Line PA is proud to have three recipients of the Exemplary Psychiatrist Award as affiliate members who actively participate in our outreach, education and support activities. Dr. Ellen Berman is a Clinical Professor of Psychiatry at the University of Pennsylvania, where she has taught psychiatric residents to care for families for many years. In 2009 she founded the Center for Couples and Adult Families in the Psychiatry Department at Penn to support patient care that engages families, since families play such an important role in mental health and illness. The Center also offers therapy for couples and adult families in the University and the community. Dr. Berman also maintains a private practice. Her career has been devoted to making connections between the family therapy community and psychiatry. 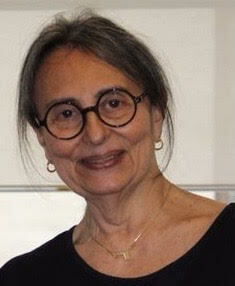 She received the 2010 Lifetime Achievement Award of the American Family Therapy Academy, and she was chair of the Family Committee of the Group for the Advancement of Psychiatry, as well as a member of its Board of Directors. Dr. Berman was honored with a NAMI Exemplary Psychiatrist Award in 2015. 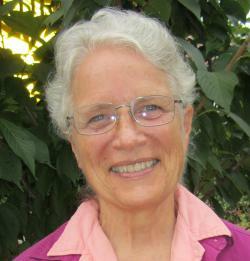 She serves on the Board of Directors for NAMI PA, Main Line. Steven J. Siegel, M.D., Ph.D.
Dr. Steven Siegel is a Professor of Psychiatry at the University of Pennsylvania. He is currently the Director of the Translational Neuroscience Program in Department of Psychiatry and Director of the Clinical Neurosciences Training Program for the Perelman School of Medicine at the University of Pennsylvania. He is also a practicing psychiatrist specializing in the treatment of schizophrenia. His laboratory is investigating the neurobiology of schizophrenia, autism, drug abuse and nicotine dependence. His laboratory has established new methods for the treatment of schizophrenia using biodegradable long-term delivery systems. 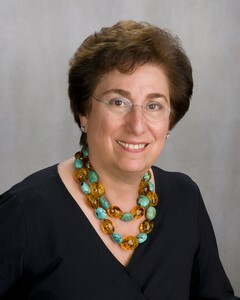 Dr. Siegel received the Exemplary Psychiatrist Award from NAMI in 2008.
to subscribe to our newsletter!